Sales of used Commercial Vehicles. Service and repair of all Hino as well as other makes of vehicles in our very well equipped service department. We pride ourselves in the number of Master Technicians. After hours and Saturday servicing by arrangement to offer you the minimum vehicle down time. Our parts department supply the full range of Genuine Hino parts and accessories. Onsite finance and insurance business manager to assist our clients with credit applications, insurance products, extended warranties, service plans, and all their financial and insurance needs. Our management and staff are highly motivated and most are seasoned members who take pride in their daily tasks, this being the main reason for the numerous OE and other awards and accolades we have received over the years. The prestigious Dealer of the year award being part of the trophy collection. Business goes where it is invited and stays where it is treated well. 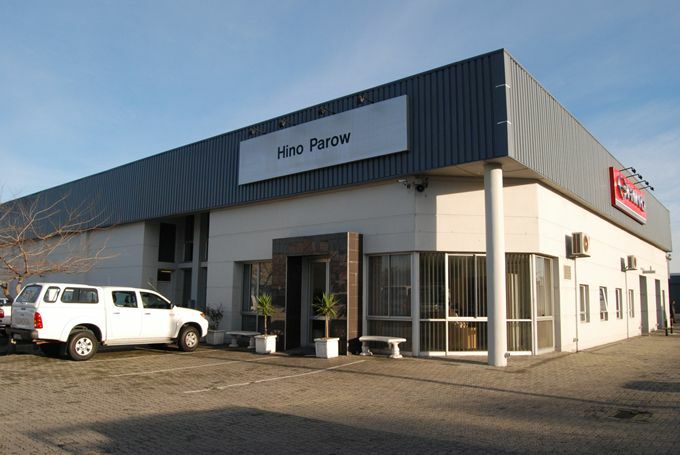 Hino Parow, your servant in trucking would love to meet with you.